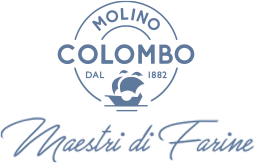 The new line of flour pastries “le Delizie” is a collaboration of Molino Colombo with the best Pastry Chefs, which together have designed a line of flour specifications in relation to thier intended use. Our secret is place in the rigorous and accurate selection of the best raw materials with a gentle grinding method can maintain the protein quality of grains used. This grinding method allows us to obtain flours for pastries particulary machinable and capable of supporting a large amount of fat. This flour contains only Canadian, Americans and Australians wheats ground through a grinding process long and slow that maintains their quality protein. The flour gives to the mixture an exceptional workability, a regular structure of the crumb and an excellent ability to support the liquids, giving to the mixtures the possibility of maintaining a high content of added fats obtaining an optimal development of the finished product. This flour is a unique blend of the finest Canadian, European and Americans wheals. The long, slow grinding process gives rise to a especially calibrated to producepastries and croissants, providing an exceptional extensibility of gluten. The highprotein content provides long rise and a high capacity to support the added fat. Provides excellent results even for those who use the cold technology. This flour is calibrated to the production of leavened dough and puff pastry. Themixtures are great for extensibility and are characterized to be well structured and developed. This flour is produced with a mixture of specific wheals for the production of short pastry. The paste is easy and fast, very smooth and not sticky. The finished product is balanced in the structure and particularly crumbly.